Mosaic’s Summer Programs introduce and immerse Young Artists to Mosaic’s brand of high-energy, empowering, and inspiring performing arts training. Young artists learn level-appropriate basics of performance including articulation, projection, singing technique, and movement all while creating memories and friendships that last a lifetime. Summer programs always culminate with a showcase for family and friends on the big stage! Join us for First Stage Summer Camp for 7-10 year olds or First Stage Summer Performing Arts Intensive for 11-14 year olds! 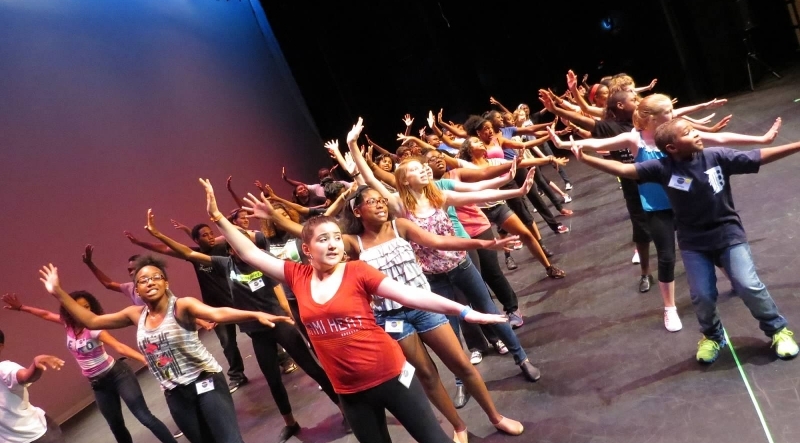 Mosaic’s First Summer Performing Arts Intensive immerses young artists ages 11-14 in the creative process. 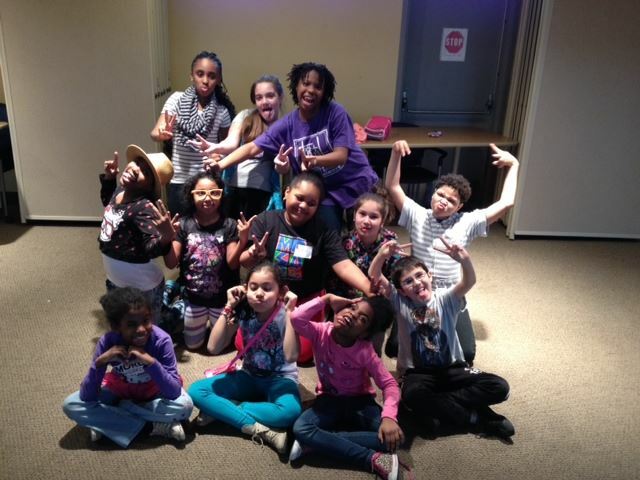 Youth will receive daily training in acting, vocal music, and movement/dance. This four-week commitment, culminates with a showcase for family and friends. 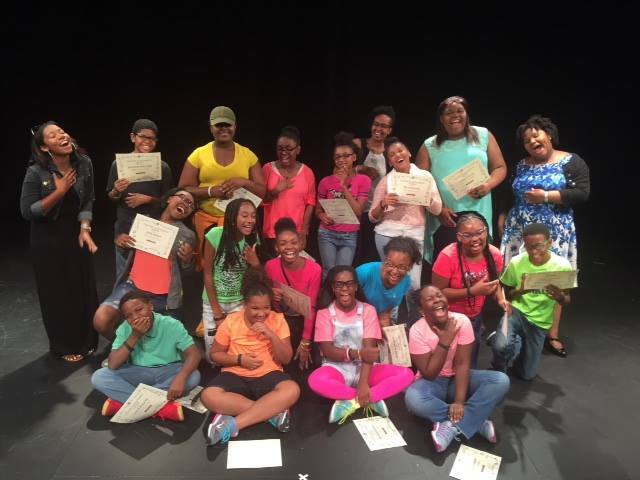 Mosaic’s First Stage Summer Camp brings four weeks of fun, exploration, and introductory performing artist training to youth ages 7-10! Young artists will show their mettle and embrace their inner hero with scenes and musical medlies of Disney songs of bravery and adventure as they explore lessons of valor from Disney movies. Young artists confidence will soar as they receive training in acting, singing, and dancing, (with an emphasis on pop and hip hop). Their “Greatest Show” will celebrate differences, make the impossible come true, and show the world, THIS IS ME! From “I Wont Grow Up” to “Never Never Land” young artists will explore the wonder of make-believe using the themes and music of Peter Pan. Young artists will have a supercalifragilisticexpialidocious good time and embrace the power of imagination and other life lessons through the lens of Mary Poppins. Mosaic strives to make the First Stage Summer Camp programs available to all who will benefit from them. Summer Camp sliding scale tuition is based on income and need and ranges from $20-180/week, thanks to Seller-Lehrer Summer Camp Scholarship Fund. Actual cost of summer camp $250/wk per camper. To accommodate the maximum number of children, we may only be able to offer a reduced rate for a maximum of 2 weeks. Proof of income is required for scholarship awardees. Mosaic strives to make the First Stage Summer Camp programs available to all who will benefit from them. Summer Camp sliding scale tuition is based on income and need and ranges from $20-180/week. Actual cost of summer camp $250/wk per camper. To accommodate the maximum number of children, we may only be able to offer a reduced rate for a maximum of 2 weeks.